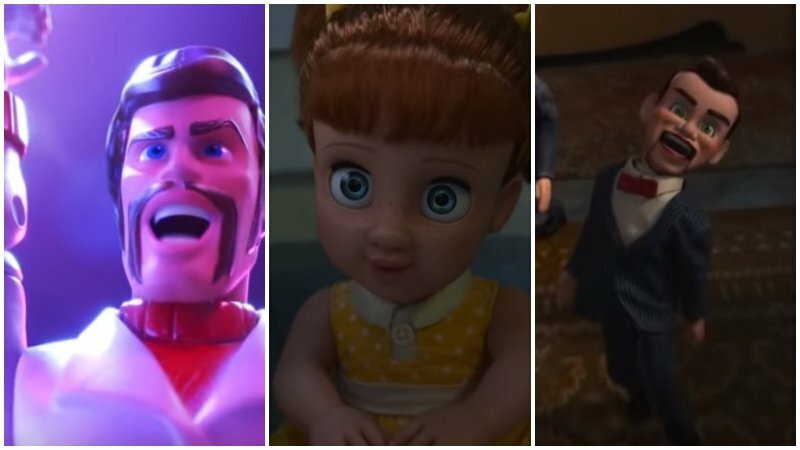 The brand new trailer for Toy Story 4 was released this morning, and it included glimpses of a bunch of new characters, including toy stuntman, talking dolls, and ventriloquist dummies. Now, Disney/Pixar has given a rundown of some of these new characters. There’s Gabby Gabby (voice of Christina Hendricks), an adorable, talking pull-string doll from the 1950s. Unfortunately, a manufacturing defect in her pull-string voice box has left her sounding rather unpleasant. After having spent 60 years forgotten in the depths of a jam-packed antique store, her only friends are some voiceless ventriloquist dummies. Then there’s Benson, a classic, antique ventriloquist dummy, and Gabby Gabby’s right hand. He leads a small group of ventriloquist dummies that serve as Gabby’s henchmen. With no person to give them a voice, these silent toys patrol the antique store with an unsettling quietness. RELATED: Watch the Full Toy Story 4 Trailer! Next up is Duke Caboom (voice of Keanu Reeves), a 1970s toy based on Canada’s greatest stuntman. While he comes off as confident, Woody learns that he has never been able to do the awesome stunts advertised in his own toy commercial. Since then, Duke has been sitting in an antique store, constantly reliving the failures of his tragic past. Finally, there’s also Giggle McDimples (voice of Ally Maki), a miniature plastic doll from the 1980s and Bo Peep’s best friend. She’s small enough to perch on Bo’s shoulder and serve as Bo’s confidant, supporter and advisor. Woody (voice of Tom Hanks) has always been confident about his place in the world, and that his priority is taking care of his kid, whether that’s Andy or Bonnie. So when Bonnie’s beloved new craft-project-turned-toy, Forky (voice of Tony Hale), declares himself as “trash” and not a toy, Woody takes it upon himself to show Forky why he should embrace being a toy. However, when Bonnie takes the whole gang on her family’s road trip excursion, Woody ends up on an unexpected detour that includes a reunion with his long-lost friend Bo Peep (voice of Annie Potts). After years of being on her own, Bo’s adventurous spirit and life on the road belie her delicate porcelain exterior. As Woody and Bo realize they’re worlds apart when it comes to life as a toy, they soon come to find that’s the least of their worries. Along with Reeves, Hendricks, and Maki, the new voices included Keegan-Michael Key, Jordan Peele and newcomer Tony Hale in the voice cast alongside returning cast members Tim Allen, Tom Hanks, Annie Potts, Patricia Arquette and Joan Cusack. 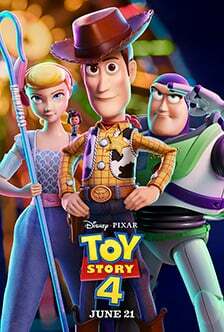 Toy Story 4 ventures to U.S. theaters on June 21.